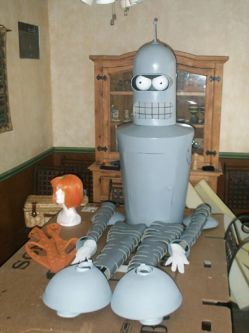 Sci-fi enthusiast Cris Knight built a costume using Sintra expanded PVC board for the Comic-Con convention in Las Vegas. 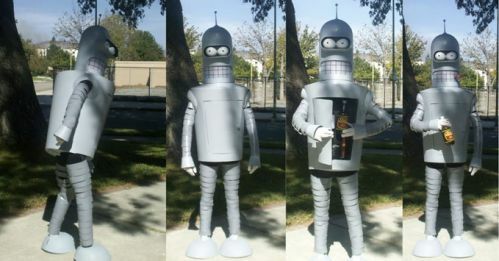 The character “Bender” from the popular animated television series Futurama, written and designed by Matt Groening, was the inspiration for the costume. Knight is no amateur when it comes to custom costume design. Modern films including Star Wars, the Fifth Element, A Nightmare Before Christmas, and 300 have influenced his handcrafted works. Sintra’s easy workability allowed Knight to transform a material mainly used in retail displays and interior signage applications into a truly innovative creation.